Like the taste of spiced hot chocolate, this story lingers in a satisfying way. Rich, exotic and evocative. Having saved the city cats from a fate worse than death, Varjak Paw finds himself the elected and popular leader of a new gang - a gang that supports freedom and kindness for all. But will the pressure take its toll on this brave yet sometimes naive cat? Soon the city erupts in an all-out gang war as the evil Sally Bones attempts to control the lives of all cats. Horrified and outnumbered, Varjak and the others must fight for their freedom or die trying; can Jalal's Way really be the best way? If you could sum up The Outlaw Varjak Paw in three words, what would they be? 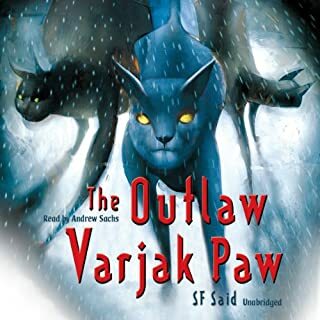 What other book might you compare The Outlaw Varjak Paw to, and why? The heroic animals of the Chronicles of Narnia. What does Andrew Sachs bring to the story that you wouldn’t experience if you had only read the book? Rich tones and excellent characterization. Varjak Paw is a Mesopotamian Blue kitten. He lives high up in an old house on a hill. He's never left home, but then his grandfather tells him about the Way - a secret martial art for cats. Now Varjak must use the Way to survive in a city full of dangerous dogs, cat gangs and, strangest of all the mysterious vanishings. Varjak is the cat's pyjamas. Where does Varjak Paw rank among all the audiobooks you’ve listened to so far? 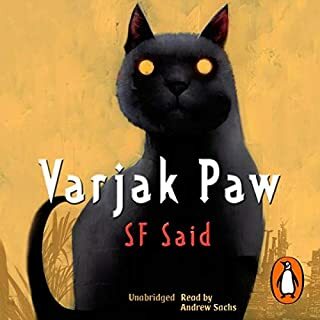 What other book might you compare Varjak Paw to, and why? Mr Sachs brings a smooth rich telling of a wonderfully written story. 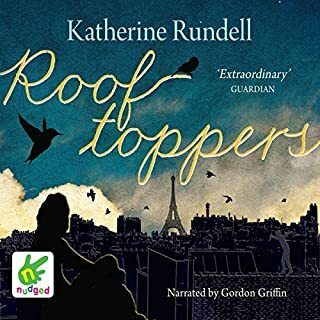 Where does Rooftoppers rank among all the audiobooks you’ve listened to so far? Beautiful, lyrical and utterly gratifying. Sophie and Charles are such charming characters and Rooftoppers flows like an elegant concerto. Will dares Tilly to come ice-skating up at Frost Hollow Hall. No one goes near the place these days. Ten years ago the young heir, Kit Barrington, drowned there in the lake. Rumour has it that the house is haunted ... But Tilly never turns down a dare. Then it goes horribly wrong. The ice breaks, Tilly falls through and almost drowns. At the point of death, a beautiful angel appears and saves her. Kit Barrington’s ghost. Kit needs Tilly to solve the mystery of his death, so that his spirit can rest in peace. If you could sum up Frost Hollow Hall in three words, what would they be? 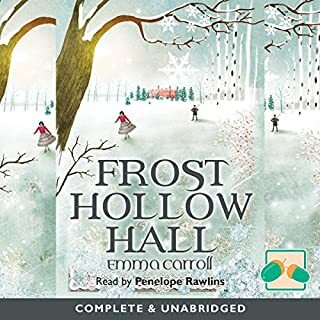 What other book might you compare Frost Hollow Hall to, and why? The only thing I can think of to compare this to is The Secret Garden if only for the the atmosphere it conveyed. What about Penny Rawlins’s performance did you like? Touching, and respectful of the words. Ghostly awakenings and a secret shame. Moss hates her life. 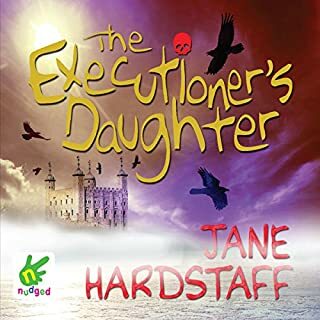 As the daughter of the executioner in the Tower of London, it’s her job to catch the heads in her basket after her father has chopped them off. When she discovers a hidden tunnel that takes her to freedom, she learns that her life isn’t what she believes it to be. Her search for the truth takes her on a journey along the great River Thames. Could the answers lie deep in its murky depths? Where does The Executioner's Daughter rank among all the audiobooks you’ve listened to so far? What was one of the most memorable moments of The Executioner's Daughter? Which character – as performed by Sarah Ovens – was your favourite? 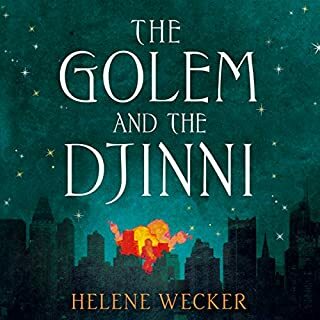 This is a story that weaves a rich tapestry, a mingling of fantasy and history. So good. 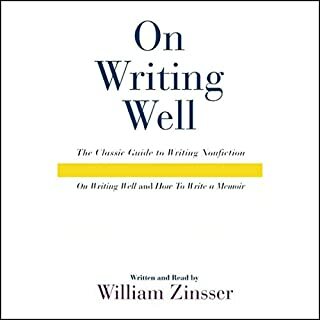 Not much for your money with this title and no clear indication that it doesn't benefit fiction writers. Although pleasant enough to listen to, its messages are just common sense.